Taqabbala Allahu minna wa minkum. Posted by Arshad on Sunday, October 22, 2006. Professor Mohammed Yunus along with Grameen Bank was awarded the Nobel Peace Prize for 2006. The Grameen Bank founded by Yunus pioneered the concept of micro-credit lending schemes for the poor, especially women, in Bangladesh, thus helping millions come out of poverty. 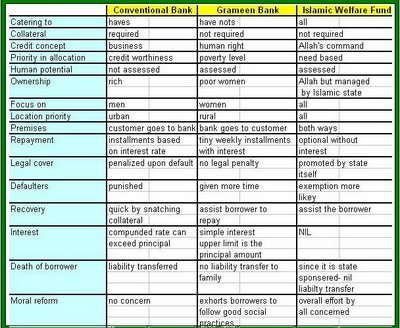 I read Grameen's methodology of banking and found it to be quite similar to what an Islamic state might envisage for povery alleviation and other welfare programs with suitable modifications as Islam completely prohibits usury or interest. Posted by Arshad on Saturday, October 14, 2006. Jack Straw has ignited controversy on his remarks over the veil. Here are some FAQs. You will get the answers by clicking the question itself. What did he mean (if you read between the lines)? Can you show me a one balanced Muslim reaction to Straw's statement? Can you cite a Muslim woman's personal confession to wear the headscarf? How can I understand this veiling business? 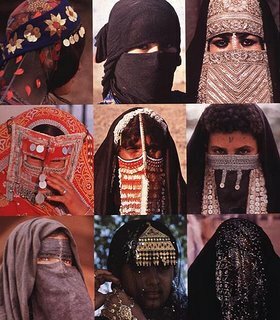 More on this veil or niqab or purdah? Do other religions also preach modesty? What about Christianity? What are the ill effects of immodesty? The social problems citied below are the direct result of a society that derides Divine Revelation commanding modesty and sexual relations strictly under the institution of marriage. Posted by Arshad on Monday, October 09, 2006. Tomorrow InshaAllah will be the 17th of Ramadhan. This day the great battle of Badr was fought. It is called Yaum e Furqan because it was a day that separated the Truth from the Evil. We need to study it. Posted by Arshad on Sunday, October 08, 2006.